Children will love to chop their way through Cutting Fruit Crate! 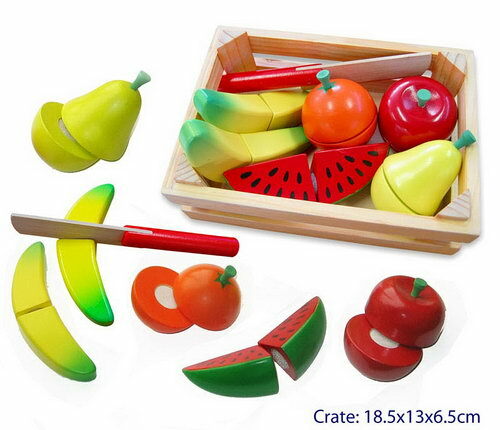 There are 6 wooden fruit pieces each joined by velcro and able to be chopped in half with the wooden knife - 2 x bananas, 1 x watermelon, 1 x pear, 1 x orange, 1 x apple and cutting knife. Teaches early basic fraction principles such as "halves" and "wholes."